Halfway through my bucket list of visiting all eight hotels and resorts on the Alabama Robert Trent Jones Golf Trail—-with no golfing. That might suit the golf pros best of all, especially ones from whom I’ve taken a lesson or two. No way I’m their poster student. Simply doesn’t seem to click as my skill set. That’s why I choose to vacation without the golf at golf resorts. The trail to each one, and all around each one, in Alabama suits me fine. And so do their spas. What I miss that others enjoy are 26 golf courses on 11 sites. If those golf pros would let me walk around their beautiful courses, I would promise to stay off the lush greens and stick to the cart paths. Difficult to get a ‘yes” to that request. What I gained in Mobile was ample time in the handsome grand foyer of the Battle House in Mobile. Golfers have to off hurry to tee time. Built in 1852, the Battle House renovations recreate the splendor embraced for 100 years, including 238 guest rooms and suites. Spa here? Yes, and a rooftop pool with fine views of Mobile. 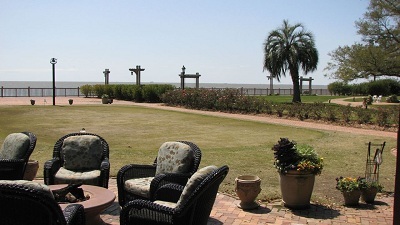 The point of being in Point Clear is the Grand Hotel Marriott Resort, Golf Club & Spa. Nearby Fairhope is a little community loaded with cuisine, art, libraries and bookstores and flowers galore, even at the curbs. 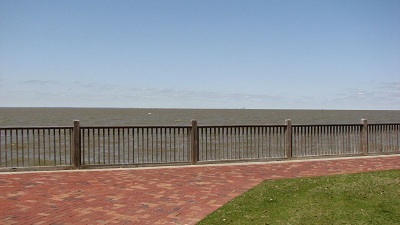 Mobile Bay was the focus of my “I can see forever” view from the gardens and walking paths at Grand Hotel. Swim too, choose herbs and veggies from the chef’s kitchen garden and simply muse. In downtown Montgomery, non-golfing me had plenty of time to explore the Performing Arts Center attached to the Renaissance Hotel & Spa. Walk-abouts handy too since the hotel is right at the restored riverfront, in the midst of new entertainment district eateries, bars and coffee shops. Hank Williams and Rosa Parks have meaningful museums in Montgomery, walkable too from the hotel. Listening to golfers bemoan the misdirected shot or praise the surprise skill is close enough to the game for me as I continue this trail. So is looking at the art in each property, and gardens in many. Christine Tibbetts is a university-trained journalist with 40+ years experience writing for newspapers, public relations and marketing firms, and arts and education organizations. She shares life and travel with a family blended by first, second, third and more marriages. Photos from Grand Hotel Marriott Resort, Golf Club & Spa in Point Clear.